NEW YORK, NY and BOSTON, MA and LONDON--(Marketwire - October 13, 2010) - Horses for Sources (HfS), the leading analyst advisory firm covering business process outsourcing (BPO) and information technology outsourcing (ITO), announces a further senior executive hire to support an expanding global remit. Lisa Ross (pictured) joins HfS Research to spearhead the firm's market develop initiatives, manage several strategic relationships with key industry stakeholders, and provide oversight for the firm's commercial operations. Ross will join the HfS executive management team, alongside research executives Esteban Herrera, Euan Davis and Mark Reed-Edwards. She will report directly to HfS CEO and Head of Research, Phil Fersht. Ross joins HfS Research from leading BPO provider Genpact, where she most recently served as a Vice President of Sales and also managed the firm's global strategic relationships with management consultancies and industry influencers. Ross is a long-standing and internationally recognized expert in the field of outsourcing. She has served as a leading industry resource for more than 14 years, having founded and managed two outsourcing-specific research firms that served outsourcing providers, buyers and advisors in the U.S., Europe, Canada, India and Japan. She sold one of these firms in 2004 to EquaTerra, a leading sourcing consulting firm and strategic research partner of HfS Research. In 2008, Ross was named a "Top 10 FAO Advisor" globally in The Black Book of Outsourcing and an "FAO Superstar" for three years in a row by FAOToday magazine. In 2006 and 2007, she was chosen by IAOP (International Association of Outsourcing Professionals) to serve as a Judge of its Global 100 awards. She also served as Judge for the Outsourcing Journal's Outsourcing Choice Awards. Additionally, Ross was also a founding member on the Board of Directors for the Human Resources Outsourcing Association (HROA). Discussing this new appointment, Phil Fersht stated, "We have made significant strides to become the leading analyst advisory outfit and media brand in the outsourcing industry, and now have 36,000 subscribers to our research website and blog. We are breaking new ground in the way we approach research and networking, and Lisa Ross is an exceptional talent who can embrace the new media world to help guide us on our unprecedented journey. I am delighted to have her spearhead a new phase of growth for HfS Research." 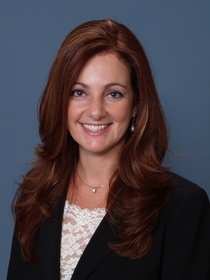 Commenting on her move, Lisa Ross added, "Having had an incredible experience in the supplier space to gain an intimate understanding of global operations, business strategy, and the keys for sales success, I am delighted to bring this knowledge to HfS Research, in addition to my years of analyst experience. Phil and his team have positioned HfS Research for outstanding future potential, and I am honored to bring my experience to the team." HfS Research now boasts 36,000 subscribers to its blog and website and a team of analysts spread around the globe. Horses for Sources (HfS) is the foremost advisory analyst firm, networking community and media brand, focused on helping enterprises make complex decisions with their business process and IT outsourcing strategies. With 36,000 subscribers, HfS provides the most impactful and frequently visited global collaborative community platform in the global services industry, providing rapid and insightful commentary, analysis and debate of enterprise outsourcing dynamics. The organization is unique in the fact that it integrates personable social networking with market research and advisory services. HfS' mission is to provide a unique environment for collective research, opinion, experience and knowledge across the global outsourcing industry to help enterprises explore new performance thresholds. Led by industry expert Phil Fersht, the HfS team is a multi-disciplinary group of analysts across North America, Europe and Asia/Pacific regions, with deep domain knowledge in Business Process Outsourcing, Information Technology Services and Cloud Business Services. Launched in 2007, the HfS blog has more than 120,000 monthly visitors across the global outsourcing industry, and is widely recognized as the leading destination for collective insight, research and open debate of industry issues and developments. The HfS LinkedIn community is thriving with over 10,600 industry professionals sharing views and information daily. More information about Horses for Sources can be accessed at www.horsesforsources.com. The company can be followed on Twitter at www.twitter.com/horses4sources and LinkedIn by joining "The BPO and Offshoring Best Practices Forum group." Note to editors: Trademarks and registered trademarks referenced herein remain the property of their respective owners. Photos of Ms. Lisa Ross are available from The Devon Group.